NEW CONSTRUCTION - RANCH HOME - UPGRADES EVERYWHERE. 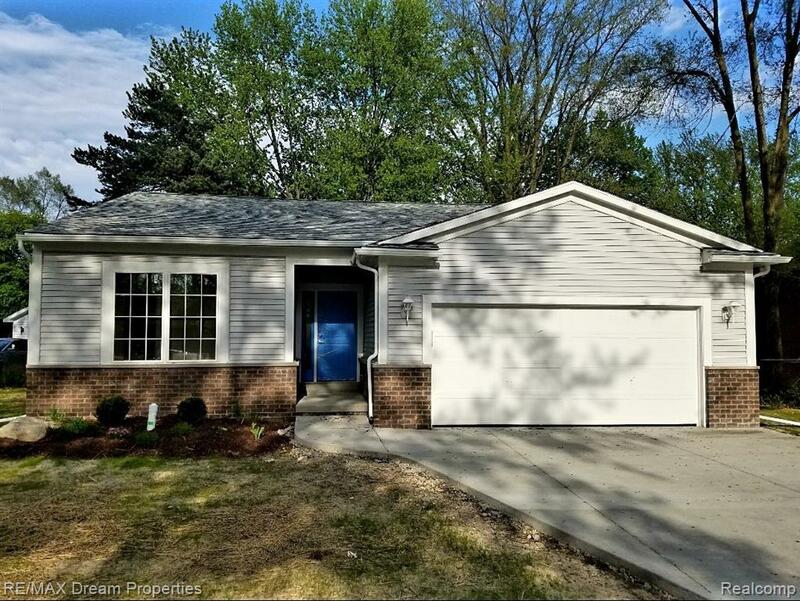 Spacious open floor plan with 9 foot ceilings throughout, 3 bedrooms, 2 full bathrooms, large windows, and 2 car garage in desirable Farmington Hills. Master bedroom and 2nd bedroom include walk-in closets and ceiling fans. Main floor mud room and laundry. Open concept kitchen, eating area and great room. Quartz kitchen counter tops with back splash and soft close cabinets. Marble bathroom counter tops. Solid wood interior doors. Canned lighting throughout. Huge basement with Egress window. Home is completed except for the cement work (drive, walkway, garage).